A little while ago the Soyuz TMA-18M spacecraft docked to the International Space Station. On board there are ESA astronaut Andreas Mogensen and cosmonauts Sergei Volkov and Aidyn Aimbetov. The three of then were launched from the Baikonur Cosmodrome in Kazakhstan last Wednesday. In a couple of hours the hatches between the Soyuz TMA-18M and the Station will be opened and the newcomers will be welcomed by the rest of the crew. This year for a number of reasons the normal schedule of the International Space Station’s crew rotation was upset. The one-year mission is currently under way, as a result two crew members won’t return to Earth on September 11. The launches of the latest Soyuz spacecraft were delayed because the Soyuz rockets were grounded for a while in the aftermath of the failed launch of the Progress M-27M cargo spacecraft. Normally, when the time comes to proceed with the International Space Station’s crew rotation, three members who have completed their mission return to Earth and after a few days three new ones arrive. 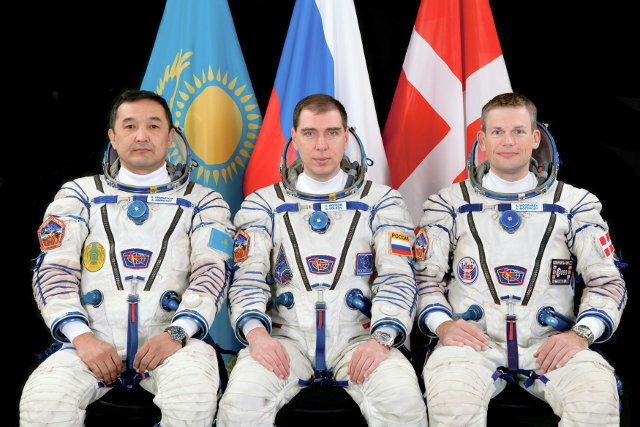 In this case, however, only one of the crew member will be replaced with the beginning of Expedition 45. That’s because three members of the crew are continuing a mission of about five months and the two are the ones who are conducting the one-year mission. The crew member to be replaced is the current International Space Station’s commander, Gennady Padalka. Tomorrow, he’ll hand over command to Scott Kelly. For this reason, this time the new crew launch came before a departure. In this way, on September 11 Gennady Padalka will leave the International Space Station along with two newcomers, Andreas Mogensen and Aidyn Aimbetov, while Sergei Volkov will remain as part of Expedition 45. 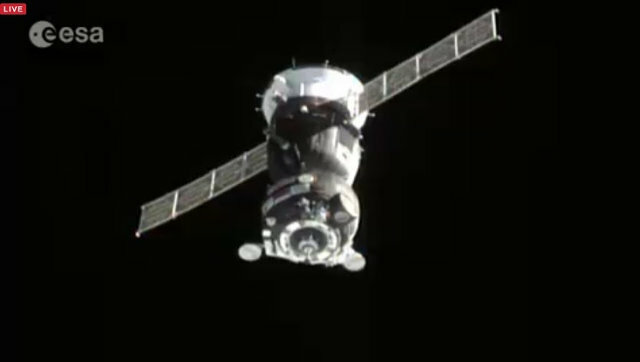 Now on the International Space Station there are nine people. The last time that happened was in November 2013. In that case, three crew members who completed Expedition 38 arrived along with a version of the Olympic torch and a few days later it was returned to Earth by three other crew members who completed their mission.